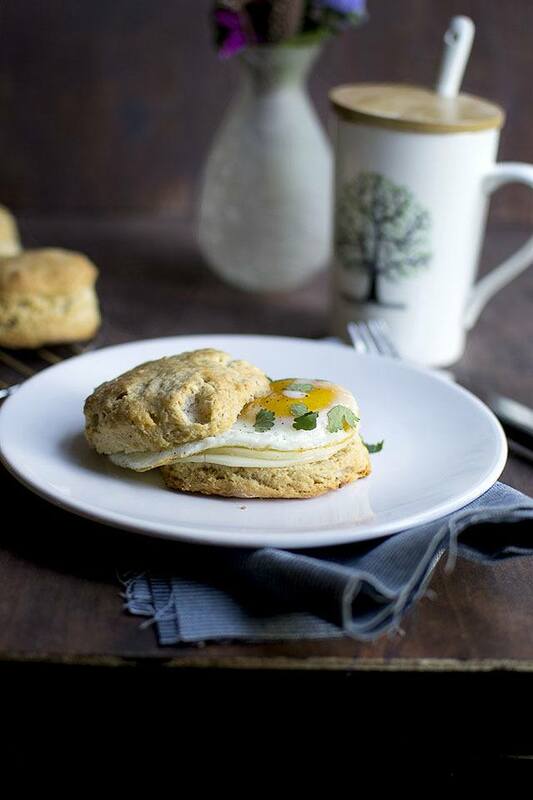 Buttery Sourdough Biscuits are great to serve for breakfast, lunch or dinner. Serve them with scrambled eggs or fried egg or gravy. Preheat oven to 425°F, with the rack in the upper third. Line a baking sheet with parchment paper or lightly grease it. In a mixing bowl, combine the flour, baking powder and salt. Work the butter into the flour until the mixture resembles coarse cornmeal. Add the unfed starter, a little at a time, until the dough comes together. Turn the dough into a lightly floured surface and gently pat into a 1" thick round. Use a 2½ or 25/8" cutter to cut rounds. Pat the scraps together to make additional biscuits. Place the biscuits 2" apart on the prepared baking sheet, they will spread as they bake. Bake the biscuits for about 20~23 minutes or until they are golden brown. Remove them onto cooling rack and serve hot or warm. They stay fresh well wrapped in plastic for up to 3 days at room temperature. Freeze them for longer storage.